Our helpful and experienced employee owners are able to help you design your project and figure out the material needed. 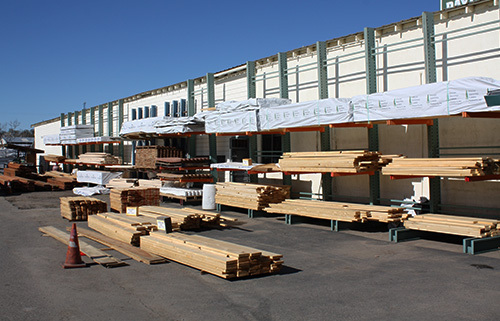 We’re an employee owned lumberyard that has been serving home owners and contractors with a variety low cost and high end building supplies in Northern Californian California since 1973. Our staff will go the extra mile to make sure you find the ideal material to fit any budget. Payless Building Supply is a full service lumberyard with a variety of products to get any job done. With the most experienced staff in the North State we are always offering products to save you money. Our staff will go the extra mile to make sure you find the ideal material. Whether it’s building your dream home, deck or fence, we have the material to fit your budget and to get your project finished. At Payless we know how valuable your time is and that’s why you only have to handle your material once. Here’s how it works! Our helpful and experienced employee owners are able to help you design your project and figure out the material needed. 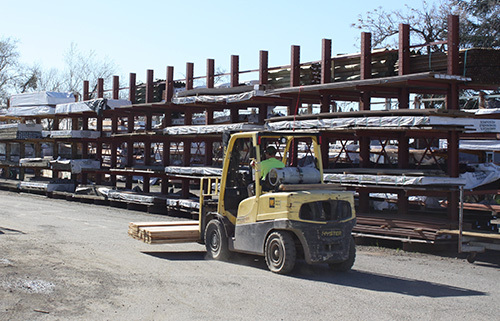 Pick out your material and we will load it directly into your truck and we will tally it up on the spot. You’ll never have to load a cart and stand in a long line only to be left packing up your vehicle by yourself. If you are unable to haul your own material, we have a full service delivery fleet available 6 days a week. We always buy directly from the manufacturer. No middle men, no unnecessary markups. We offer a variety of products to fit any budget. Why pay more when there are other options that can save you money! Payless Building Supply was founded by Frank Solinsky in 1973, with the idea of providing customers with the opportunity to buy at the lowest price possible. When it was started, he knew if we wanted loyal customers, we had to provide them with a large variety and quality of wood and building products at a very low price. In addition, if we wanted to keep those loyal customers, we had to give them decent service. As a result of those goals, we knew we had to buy direct, NO middle man, we had to be a low cost provider, and last but not least we had to have good and knowledgeable employees. Frank Solinsky knew that it is tough to make a living for most people in the North Valley and that they only have so much money and he wanted to make it count. When you come into a Payless location you will notice that we don’t have fancy buildings, we do this to keep our overhead low. You’ll also notice we buy in volume and often times buy large volumes of manufactures mistakes and overstock items, which allows options for our customers to save money on their project. In addition, we are known for our fencing and since 1973 we manufacture and process our own fencing. Over the years we have manufactured and sold over 250,000 miles of wood fence. We do all of these things, to pass the savings on to you. 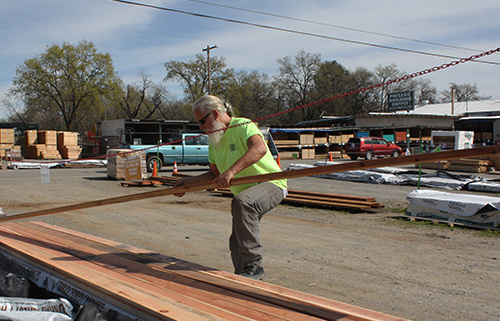 Through the years we have seen many major national building material chains come to Chico and leave. Thanks to you, our very good customers, we have survived through good times and bad. When you buy from us, the money stays in town and keeps working for you. We are proud to be part of the Chico community! 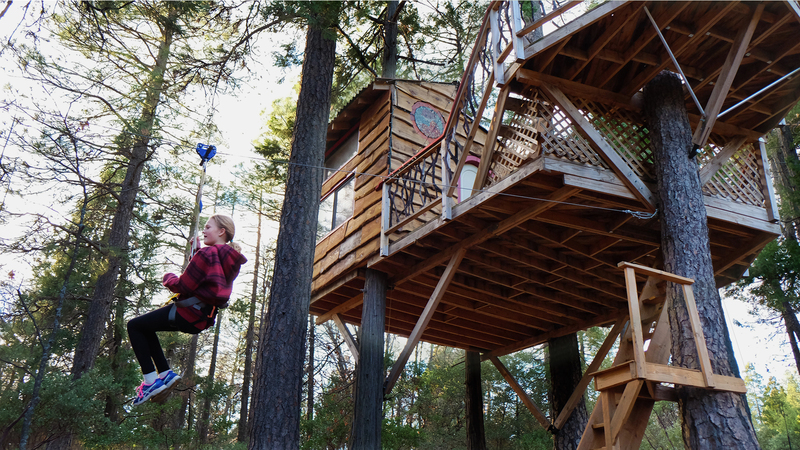 "Payless Building Supply had everything I needed to build my kids a beautiful treehouse. I ordered all my decking, support wood, and framing right there on the lot. They had every different cut and size of wood I needed to make my dream a reality!" Sign up for our newsletter to recieve monthly discounts from your preferred Payless location.